About a year ago I came across a post from a fellow LuLaRoe retailer named Jessica. 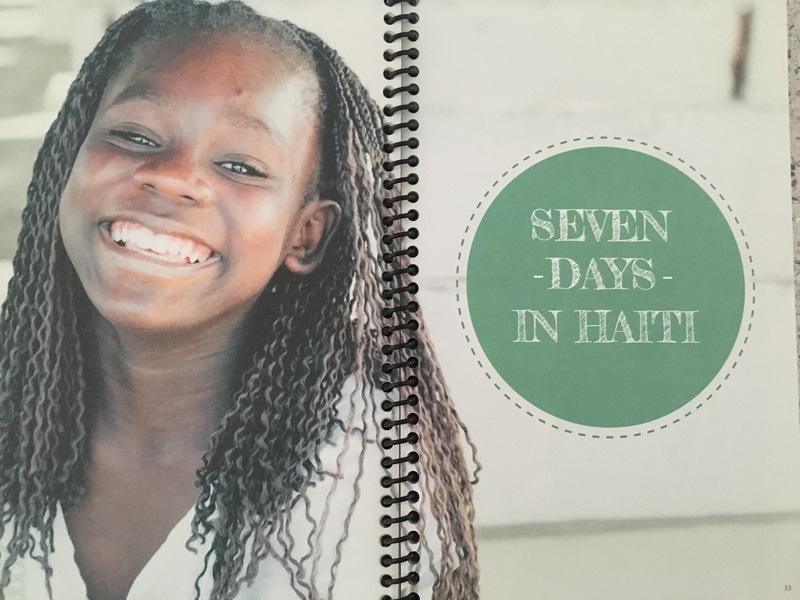 She shared this amazing story of her mission trip to Haiti. I literally sobbed as I looked trough her photos. And it wasn’t because the photos were of heart wrenching starving children or poor, broken people. Jessica was smiling and laughing with the people of Haiti! You could see and feel the love in these photos. The spirit of the people was strong. And I knew in that moment that I had to be there. Throughout the last year, Jessica and I have conversed via phone and Facebook. Her excitement for this trip is contagious. She’s shared her stories and it further solidified my decision to go. Many obstacles have popped up over the course of this past year. Times where I questioned my sanity and what in the world I was doing traveling to Haiti. But that feeling has never dissipated. In fact, it’s stronger than ever. So today I’m boarding a plane to Port-au-Prince, Haiti where I will serve in my very first Mission Trip. I’ll also meet Jessica for the very first time face to face! I’m excited, nervous, and overwhelmed to say the least. Never have I been so called to do something so far out of my comfort zone. But you know, I have prayed about this for a very long time. I’ve longed for a way to give back. To help others. To grow on all levels. And here it is. Something tells me this week is going to do more than that. While I’m the one who’s going to Haiti to serve, to make a difference in the lives of others. I know I’m going to walk away the one changed. And for the better. This entry was posted in Giving Back, Healing, Life After Cancer and tagged cancersurvivor, hope, joy, Life, lifeaftercancer, LuLaRoe, survivor by surviveber. Bookmark the permalink.